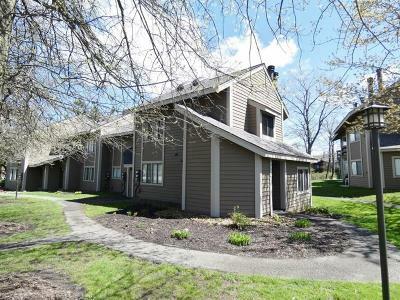 Come up and enjoy all that Hidden Valley Resort has to offer in this charming one bedroom condo on top of the mountain! This property is an end unit, has been updated throughout with new flooring, fresh paint, selling fully furnished, gorgeous view of the Highlands pond outback, open living area, a rare washer/dryer included and more. The property has a quick walk to the ski slopes, swimming pool and tennis courts. Find out why Families come first at Hidden Valley.